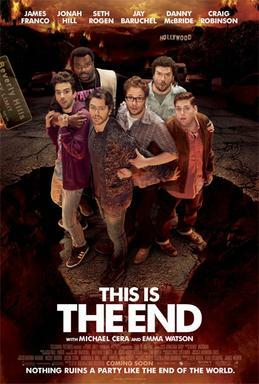 This movie was thoroughly hilarious. I am not ashamed to admit that I am a fan of Rogen and Goldberg’s previous films (I didn’t even think the Watch, which they touched up, was awful. Just uninspired and lazy but fairly entertaining when bored and not wanting a challenge), considering Pineapple Express and Superbad to be among the finest modern comedies alongside the works of Edgar Wright, In The Loop, and dwarfing the output of Apatow. So, this hopefully means “something” (I quote because you may hate those films and this becomes a negative) when I say that this just may be their funniest film. The humor is relentless and often soars, despite the clunky, unpolished direction of Rogen/Goldberg (they certainly lack the focus of Mottola or the visual flair of Green). The weed humor is low, the focus on friendship is as high as ever, but the film seems to take glee in playing with the stereotypes all the actors involved have been accused of playing. In all honesty, when the movie begins and it’s simply spending time with them at a party, I was having a blast so a clunky start of the apocalypse had me worried. Yet, when the show advanced it became more certain and just… Well… Funny. It’s a comedy and I laughed a lot. That’s a good comedy to me and well… This may be a great one. No… It’s a great one. Yeah. I said it. Franco, McBride, and Robinson steal the show and it kinda made me like Baruchel (though his voice gives me hemorrhoids). If I had one complaint it’s that this film isn’t pointed enough at the ridiculousness of religion and “damnable” offenses or the absurdity of the apocalypse, but that’s just a personal bias due to me being obnoxiously atheist. But yeah… Had a blast. This entry was posted in Action, Comedy. Bookmark the permalink.